Sprint Cup Series: Tony Stewart’s Triumphant Return to Victory Lane – Coming off a solid race at Michigan International Speedway two weeks ago, Tony Stewart snapped an 84-race winless streak on Sunday, leading the final 22 laps in wine country at Sonoma Raceway. It was a caution on lap 86 that turned Stewart’s race around. The No. 14 car pitted one lap prior, running in 18th position, hoping that there would be a caution in the next couple of laps so he didn’t lose much speed to the leaders when they pitted. Going from the mid-30s after the pit stop to the lead is what the 45-year-old had in mind. In the closing stages of the Toyota-Save Mart 350, Stewart needed to hold off the likes of Denny Hamlin and Martin Truex, Jr., both of whom had caught him but could never get around the veteran, until the last lap. Hamlin wheel-hopped getting into turn seven on the last lap, while moving Stewart up the track getting ahead of the No. 14 Chevrolet. The Daytona 500 winner could only hold the lead for four corners when he got out of the groove in the final turn, when Stewart put him in the wall. Stewart now sits nine points behind 30th-place driver Brian Scott in the point standings with 10 races remaining in the regular season. 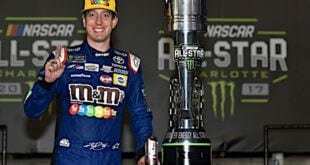 Rewind to last year, and Sonoma was Kyle Busch’s first win back from injury. He went on to win the championship. The victory for Stewart gives him confidence heading into the summer months, where he is known to be good. It’s his first top-5 result since Martinsville Speedway in October 2014. 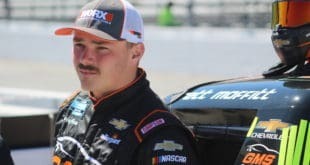 XFINITY Series : Brennan Poole Still Seeking First Victory – The last time the XFINITY Series ran a superspeedway race, Brennan Poole was the first driver to cross the finish line. 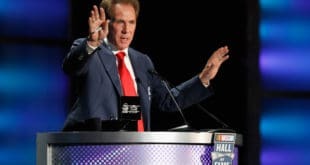 That was at Talladega Superspeedway back in April, and it looked as if Poole had secured both his first win and a spot in the Chase. However, a last-second yellow flag from NASCAR on the final lap froze the field before anyone got to the finish line, leaving Elliott Sadler victorious. In the five NXS races since Talladega, Poole has swept the top 12 but has not seriously challenged for a win. Next up is Daytona, the final superspeedway race of the year for the XFINITY Series. Camping World Truck Series: Penalties Likely for Spencer Gallagher, John Wes Townley – Despite Christopher Bell becoming the fifth driver to punch his ticket for the inaugural Truck Series Chase on Saturday night at Gateway Motorsports Park, the thing people will remember coming out of that race is the fight between Spencer Gallagher and John Wes Townley. Well, if you can call it a fight, that is. NHRA: DSR, KB Come Out On Top In Norwalk – Don Schumacher Racing and KB Racing came out on top for the second week in a row at the Summit Racing Equipment NHRA Nationals from Norwalk, Ohio, this weekend. 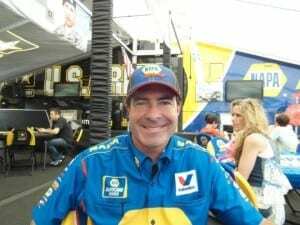 Shawn Langdon and Ron Capps topped the Top Fuel and Funny Car Nitro divisions for DSR while Jason Line carried KB Racing to the win in Pro Stock. Eddie Krawiec topped the class in Pro Stock Motorcycle. 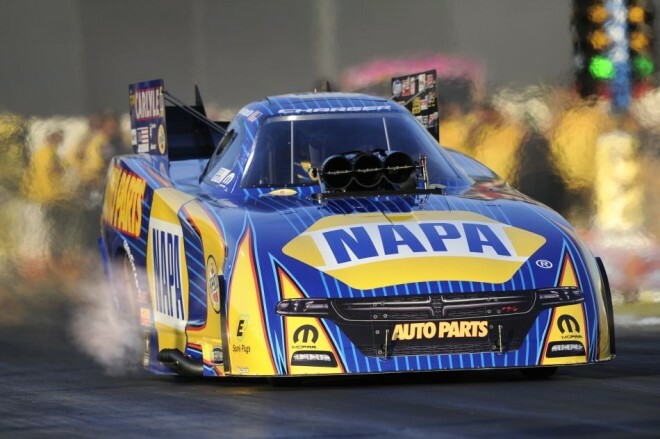 Capps has won three of the last four races and leads the class standings by 130 points over second-place Courtney Force, who also happened to be the driver Capps faced off against in the finals this weekend. Capps put down a lap of 3.956 seconds at 317.49 mph to best Force, who ran a 4.010 at 314.17. Capps also got by Jeff Diehl, Cruz Pedregon, and Robert Hight en route to the finals. Top Fuel DSR teammate Shawn Langdon seems to have shaken off his dismal start to the season, winning the last two races in a row. Langdon took on J.R. Todd in the finals and took home the Wally with a run of 3.846 seconds at 319.75 to Todd’s 3.937 at 285.05. He also beat Troy Buff, Antron Brown and Brittany Force in earlier rounds. Jason Line once again found himself lined up beside his KB Racing teammate Greg Anderson for the Pro Stock final. Line got the jump off the start and parlayed his 6.678-second, 208.42-mph pass into the win over Anderson’s 6.717-second, 208.36-mph run. Line also beat Curt Steinbach, Erica Enders-Stevens and Vincent Nobile to advance to the finals, but both KB drivers faced competition that seemed a bit stronger and a bit closer than it has been in previous races. Eddie Krawiec also faced off against his teammate Andrew Hines in Pro Stock Motorcycle, with Krawiec taking the win with a run of 6.926 seconds, 194.72 mph to Hines’ 6.937 seconds at 193.29 mph. He also beat Chip Ellis, Hector Arana and Jerry Savoie to advance to the finals. Krawiec had some braking issues, running off the end of the track into the sand trap following both his semifinal and final runs.